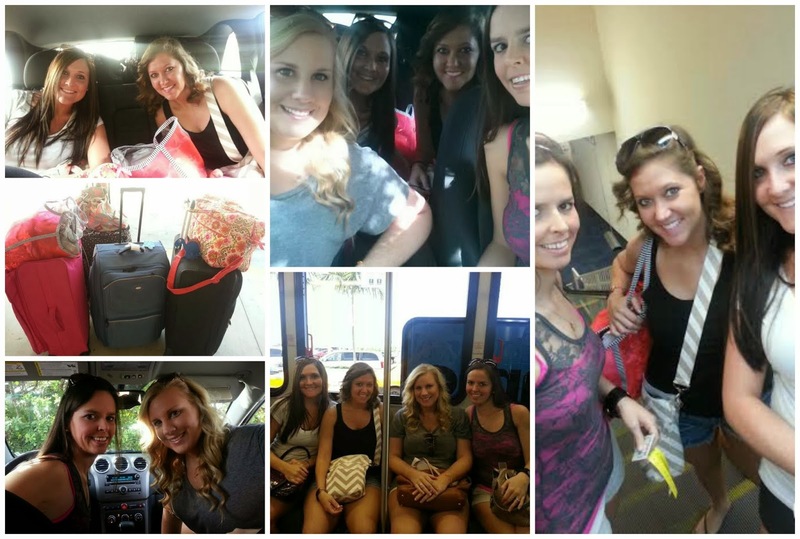 Of course it took us forever to get ready, get the hotel packed up and out the door but we managed to make it to the port with plenty of time to spare. We may or may not have been in the last group of people to check in. It worked out well though because we didn't have to wait in line at all. 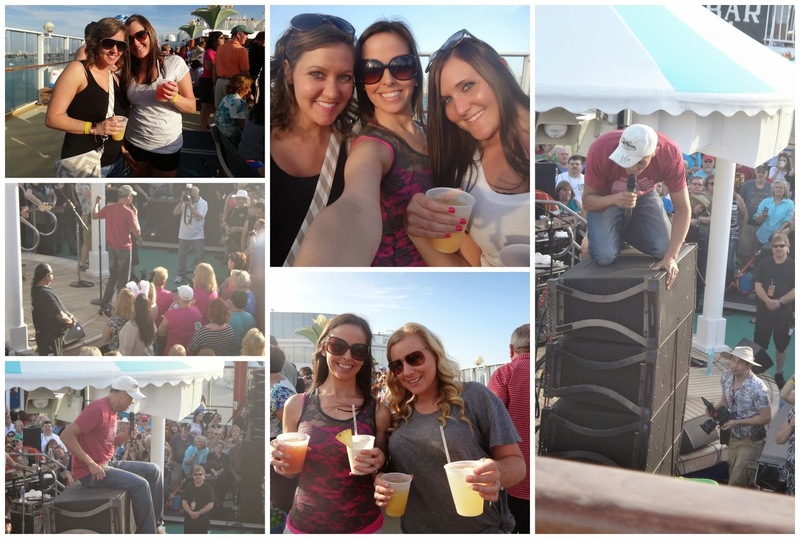 After we dropped our stuff off we headed up to the pool deck for the sail away party. 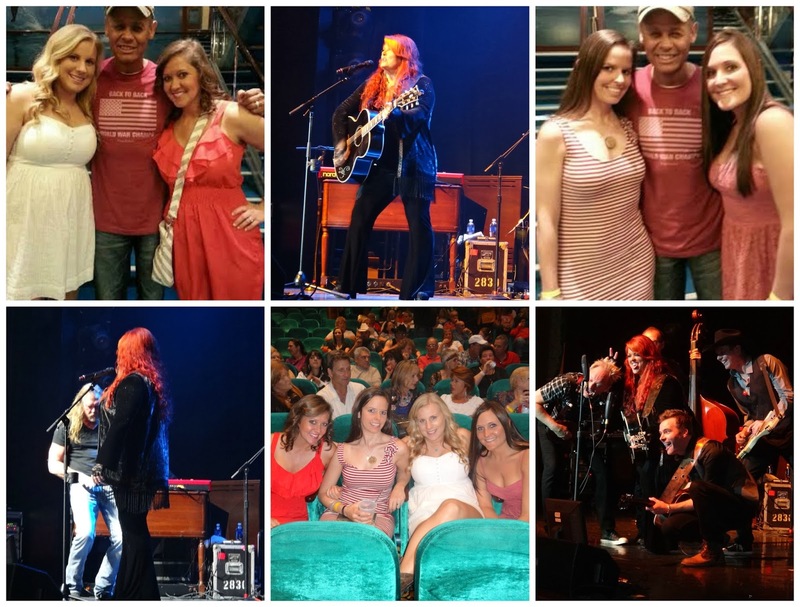 Best part of a Country music Cruise is you don't know what to expect. Neil McCoy climbing the speaker tower, Free Drinks, meeting up with friends we'd met last year and simply having the time of our life. What more could a group of girls ask for. Last year we had the early show which wasn't bad but we decided we wanted the late show this year. It allowed us more time to hang out at the pool or simply do whatever and not have to rush around to get ready. Our first night was Wynonna Judd, I knew who she was and had heard a couple of her songs but not many. Let me tell you she's one sassy woman, and the story of her husbands accident just gave us chills. Before the show while we were waiting to go in Neil walked through the hall way and we were able to say hello. He's seriously the nicest most down to earth country music artist I've ever met. After the show we grabbed some dinner and then met up with everyone for a evening out. 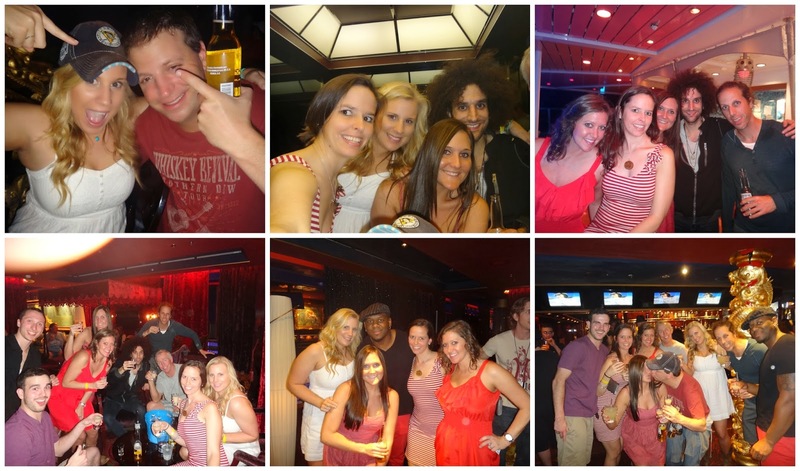 We met Chris, Steve (from Brandon & Leah) and Nick (from production) last year on the cruise. This year B&L added Joe (crazy hair) to the band and Randy (older guy) was Steve's FIL. We sat out by the pool deck listening to Frankie Ballard play before heading into the Bliss Lounge were we ended every evening. I can't for the life of me remember how to spell the bartenders name but he was so nice. We got our first round of shots and drinks from him and the entire cruise from there on out he called us his girls and always made sure to take care of us. Jonathan aka Pretty Teeth as we named him (below middle) was with production. He's a youngin 21 but one of the sweetest guys we met. He quickly became a great friend and we hung out with him when ever we had the chance. 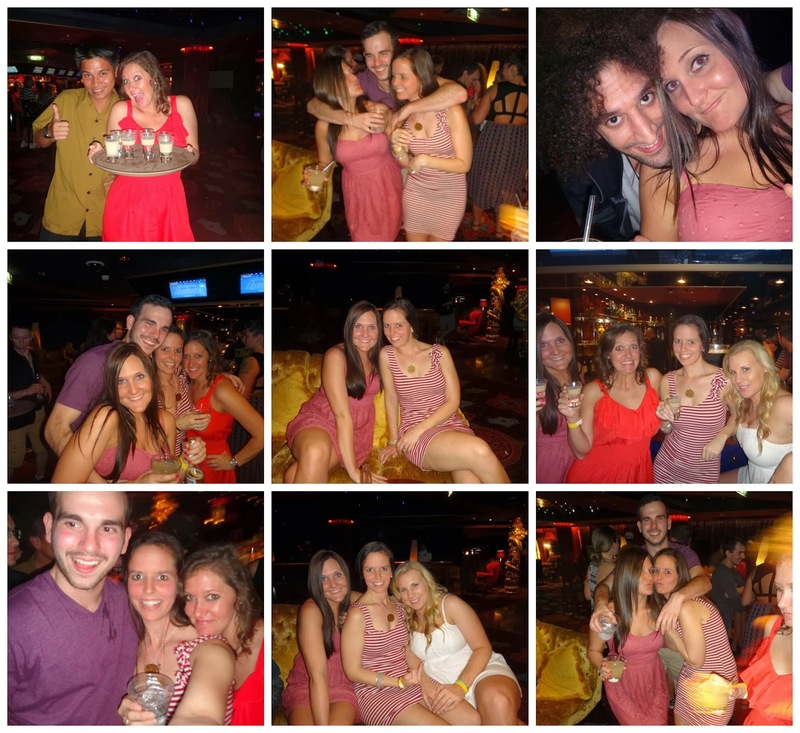 When you on a cruise everyone becomes like family. Every evening, really I should say it was way early in the morning, we ended our night just like we did last year. I don't think we ever went to bed before 2 or 3am. Although this year was a little bit of a let down. See last year we would go up to the Atrium sit down at the same table and order yummy chicken fingers, tomato soup and french fries from a menu. We had someone bring it out to us and it was fresh and hot. We talked the evening up to Brandy so much because we looked forward to it. EPIC fail, we went up to eat only to find out it was set up as a buffet style. Your options were salad, burgers, hot dogs or chicken wing with chips and spinach dip. We were less than impressed and definitely disappointed but we needed food to absorb the ungodly amount of alcohol we'd drank so we sucked it up. Hoping the next night they'd have chicken fingers……..